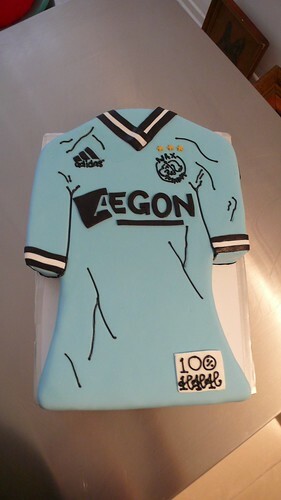 Ajax Shirt Cake, a photo by CAKE Amsterdam - Cakes by ZOBOT on Flickr. Amsterdam AJAX football jersey cake made as a thank you gift to a advertising company from a production company. What a YUMMY gift!